Get your red nose at the ready, March 15 is Red Nose Day! This special holiday got its start in England in 1988, and today it’s one of the largest fundraisers in the UK. The day is sponsored by Comic Relief, a British charity that raises money for people in need in the United Kingdom and Africa. Red Nose Day happens every two years on the second or third Friday in March. In the past 30 years, the event has raised over £1 billion. The day features a telethon, TV specials, and events around the country. One of the easiest way to get involved in Red Nose Day is to wear a red nose! Special noses are sold at Sainsbury's stores and petrol stations, Oxfam stores, and BBC shops. Noses cost just £1, and all proceeds go to Red Nose Day! Invite friends and family over to watch the marathon BBC broadcast together! Wear red noses and laugh at your favorite celebrities doing very silly things to raise money. And of course, don’t forget to call in and pledge your pounds! Take to the streets with your Red Nose Day joy! The organizers of Red Nose Day have a lot of ideas for raising money in a fun way. From Bake Sales to Sponsored Silences and road races, there is sure to be a way to for you to raise money, and have fun doing it! Red Nose Day is basically an unofficial national holiday! Everyone gathers around the TV on Red Nose Day to watch the TV marathon on the BBC that includes comic sketches, documentaries about where the money raised will go, and broadcasts from events around the country. The day raises money for serious causes, but is a great excuse to get silly and enjoy laughing with your friends. 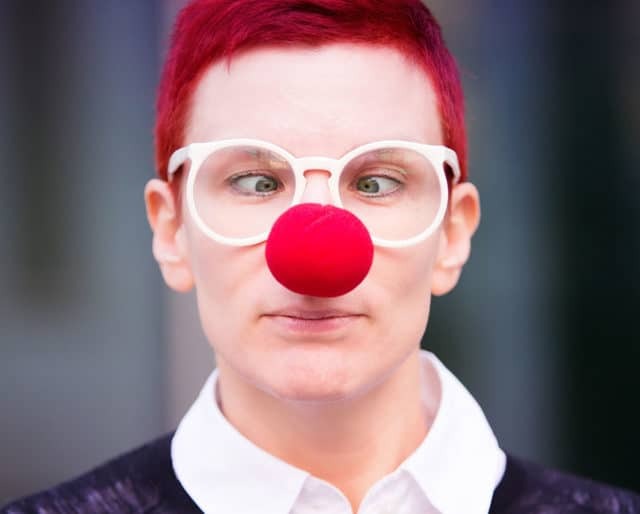 Smile at people on the streets and in the office wearing red noses, and prepare to laugh as you settle in to watch your favorite comedians and celebrities get goofy for good. Red Nose Day raises money for a huge number of worthy causes including HIV education, female literacy, and childhood immunizations in Africa and resources for domestic violence survivors and the elderly in the UK. It's a lot of fun, but it does a lot of good, and that's something to love.